No one has ever seen anything like it! - by that's life! 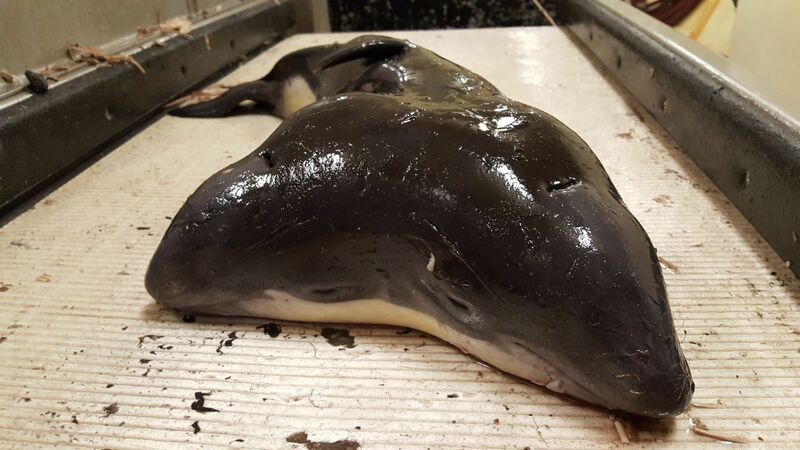 An astonishingly rare case of conjoined twin porpoises was discovered by a fishing boat crew off the coast of the Netherlands, reports New Scientist. In what is thought to be the first case ever of conjoined twin harbour porpoises, the small set of twins share one body but each have a fully grown head. Author of the paper describing the find, Erwin Kompanje at the Erasmus MC University Medical Center in Rotterdam, told New Scientist that the twins were likely stillborn as their tail had not stiffened, and their dorsal fin was floppy. After taking several photos, the fishing crew returned the animal to the water, believing that they would be breaking the law if they kept it.